Guåhu si Zea Francesca Pangelinan Nauta, familian Galaide yan Kotla. I’m a young Chamoru woman from the island of Guåhan giya Islas Mariånas (Guam of the Mariana Islands) passionate about Pacific cultures, languages, histories, and ways of life- especially my own. I was raised with the deep Chamoru values of mangåffa, inafa’maolek, chenchule’, mamålao, yan mañaina (family, environmental and social harmony, reciprocal giving, non-self-serving-ness, and wise elders). I grew up in a traditional Chamoru household which is actually a collection of households; my parents, aunties, uncles, ninas and ninos (godparents), and grandparents- i mangaffå-ku (my family) raised me. I grew up hearing but not speaking i fino-ta (our language), working in the låncho (ranch), cleaning the yard, taking care of my mañaina, working and enjoying plenty fiestas, practicing Chamoru Catholicism, wearing traditional shell alåhas (jewelry), and playing in the i hålom tåno yan i tasi (the jungle and the ocean) that I always felt connected to. Chamoru was my favorite class in which I learned about taotaomo’na (ancestral spirits of the land), how to weave, songs and dances in i fino-hu, and how little we actually knew about ourselves. I had a strong sense of cultural identity and pride throughout my childhood, however through the years, I gradually distanced myself from my culture and tåno because of school, sports, and my own agenda. After I graduated from high school, I went on a month-long trip around the U.S., and seeing those different places with my Chamoru eyes made me realize how different and special my home was, like I did as a child. I had to leave Guåhan to reconnect to it… I never recognized the richness and complexity of our culture until I went to places that had none. I drove past white sand beaches, turquoise waters, picturesque sunsets, and mystical jungles every single day and didn’t see their true beauty until they were no longer there. The first time I touched i tasi after that trip, I think our mother Guåhan, Fu’una, mother nature, spoke to me… She said that she will take care of me, but I have to take care of her. That’s when the name Hagan Guåhan dawned on me, which means daughter of Guam. Guåhan has been our home, our mother, and caretaker since our ancestors first arrived here thousands of years ago. Guåhan isn’t just the island herself, but her people, her animals, her ocean, her culture, and her spirits. I strongly believe that our island is alive, but not well. As famagu’on Guåhan (children of Guåhan), we must take care of her, love her, and nourish her back to health as she has done for us. I made it my mission to explore, learn about, and protect our lands, ocean, rich culture and history, language, and way of life before they are gone… and I invite you along with me on this journey. In this blog, I will share my adventures and what I learn from them for anyone to reconnect and start your own journeys back to i hale’-ta (our roots). Guahu si Lahin Guahan! Si yuus maase na un hahasu I islata ,Guahan. Sisigiha hafa bidadamu! Keep doing what your doing! Håfa Adai Hagan Guåhan! Hagan Guåhan lokkue’! Mafañågu-yu ya mapoksai’yu giya Guåhan. Let me make this brief: I left Guam in 2005 at the age of 17, traveled around the world and lived in various countries, and as an adult now, I have made Idaho my home for several years. Like you, I wasn’t interested in my culture while I was residing in the island. It wasn’t until I moved away and experienced many things in my life that my eyes were opened to a greater appreciation for Guam and being Chamorro. I now have greater love, respect, and gratitude towards where I am come, Guam, Chamorro history, and the Chamorro language. I created a blog as well which highlights living in Guam and the Chamorro culture. I share my experiences as an adult living in Idaho and how I am connecting them to my upbringing and culture. 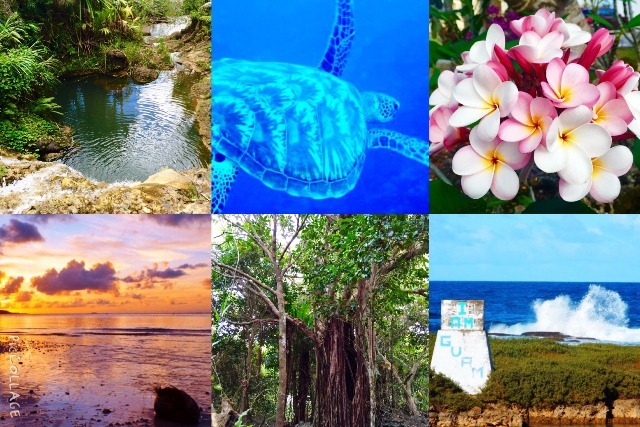 This blog is for my little daughter I am raising in the States and it is a record for her as well as anyone interested in learning about Guam or reliving experiences they’ve had while visiting or residing in Guam. You may subscribe to my blog by email (Go to http://idahomomfromguam.blogspot.com/) or you can get Facebook notifications by LIKING my blog’s Facebook page: IdahoMomFromGuam. I was excited to come across your blog through Michael Lujan Bevacqua’s blog. I enjoy your writings and messages. Thank you for sharing! I look forward to reading future posts from you! Hey there Hagan! I do a blog following spree every once in a while, and this July I’m going 7 for 7: following 7 fun blogs a day, each day, for the seventh month. Yours is today’s #7. Feel free to come visit me at http://www.thatssojacob.wordpress.com and if you like what you read, follow back! Thanks and have a great day! Your blog is beautiful Zea neni. I’m happy to see you all grown and continuing to admire and live our culture. Mad respect for you and inspiration from what you’re doing. Hu guiaya hao mas Bonita! Hu guaiya hao lokkue Skylene!!! Dangkulu na si yu’us ma’ase, your support means so much to me… Hoping you are doing well and not too homesick wherever you are. Guahan misses you. Adahi hao.